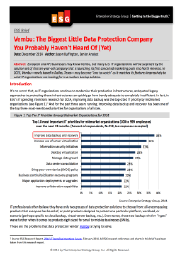 Security is a top concern when it comes to addressing data protection complexities for business-critical systems. 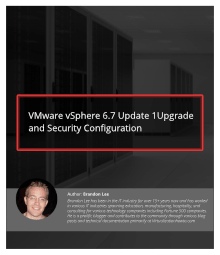 VMware vSphere 6.7 Upgrade 1 can be the right fit for your data centers when it comes to resolving security vulnerabilities thereby helping you to take your IT infrastructure to the next level. While there are features that align with the legacy security standards, there are some of the best newly announced functionalities in vSphere 6.7 like Virtual TPM 2.0 and virtualization-based security capabilities, that will help you enhance your current security measures for your production workloads. 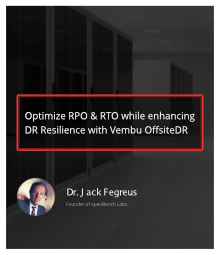 Get started with reading this white paper to know more about how you can implement a solution of this kind in your data centers. 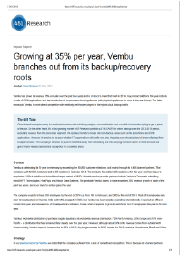 How do you increase the uptime of your critical workloads? How do you start setting up a Hyper-V Cluster in your organization? What are the Hyper-V design and networking configuration best practices? These are some of the questions you may have when you have large environments with many Hyper-V deployments. It is very essential for IT administrators to build disaster-ready Hyper-V Clusters rather than thinking about troubleshooting them in their production workloads. This whitepaper will help you in deploying a Hyper-V Cluster in your infrastructure by providing step-by-step configuration and consideration guides focusing on optimising the performance and security of your setup. Most IT sites, have a key system that is essential to the survival of their business. When processing on such a system is interrupted, essential Line of Business (LoB) operations cease to function and corporate business is significantly impacted. Moreover, the longer it takes to restore a mission-critical system, the greater the likelihood that the business will face substantial repercussions. As a result, nirvana for a Service Level Agreement (SLA) for business continuity centers on zero recovery time and zero recovery point objectives (RTO and RPO). Mission-critical systems at the majority of IT sites fall into one of two major categories: database-driven financial and process-control manufacturing systems. For mission-critical systems that do not require specialized process-control hardware, high-performance VMs within a vSphere virtual environment provide IT with a distinct advantage in dealing with scenarios that impact business continuity. LoB executives have played a critical role in the advent of DRM systems. For these key consumers of IT services, backup operations remain just a means to achieving business continuity. Their focus is entirely on the continuity of business processing and the restoration of processing in the event of a disruption. LoB executives expect CIOs to implement rigorous internal operations to minimize disruptions in business processing and when a disruption occurs the issue must be resolved in as short a time as possible and with a minimal loss of data. 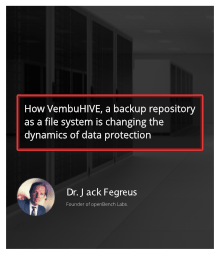 In this analysis, openBench Labs assesses the performance and functionality of the Vembu Backup & DisasterRecovery (BDR) host-level (a.k.a. agentless) data protection solution in a VMware vSphereTM 5.5 HA Cluster. For this test we utilized a vSphere VM configured with three logical disks located on separate datastores to support an Exchange server with two mailbox databases. Each of the mailbox databases was configured to support 1,000 user accounts.